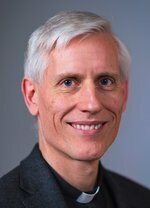 Dr. Thomas Winger, author of the newest Concordia Commentary, Ephesians, is Professor of Theology at Concordia Theological Seminary in St. Catharines, Ontario. We asked Dr. Winger to tell us a little more about himself, his ministry, and his work in writing the commentary. I am married to Sara, with two children in university. I met my wife through studying music together in university. My family is mostly in southern Ontario, Canada, but I was born and raised in England where my father served as a Lutheran pastor. I served a German-English parish in Canada before moving to England to teach at Westfield House. 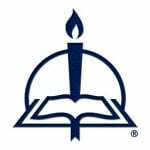 Since 2006 I’ve been a professor at Concordia Lutheran Theological Seminary in St. Catharines, Ontario. Why did you go into the ministry? My father was a strong influence, but I have to say that I was resistant to the idea for a long time. I loved to study the Bible, though, and I think it was that love of God’s Word that led me to desire the ministry. How did you become interested in the biblical book(s) on which you wrote your commentary? It started with my MDiv treatise on the ministry in Eph 4:11–12, “The Question of a Comma”! My vicarage supervisor, Rev. James Fandrey, suggested the idea to me. Have any events in your life and ministry helped you gain insight into this portion of Scripture? Ephesians is a deeply liturgical book, starting out with one of the longest prayers in the New Testament, and filled with doxology and exhortation to worship. My musical background led me to an interest in the liturgy, which in turn commended me for the liturgy committee of Lutheran Service Book. This experience, together with the regular work of parish ministry and then seminary teaching, helped me to view Ephesians from the perspective of Paul as “parish pastor”—after all, he spent three years in Ephesus, the longest settled period of his ministry. What was the best part about writing a commentary? It is a remarkable privilege to be able to devote large amounts of one’s vocation simply to the study of Holy Scripture. Although there’s never enough time to track down every issue to the bitter end, writing a commentary gave me the opportunity to delve as deeply as possible into the mystery of Christ (Eph 3:4). Although over time I have learned how to be a productive writer, I still find it painful labor. At any given point along the way, the remaining work can seem an insurmountable massif. But the joy in reaching the summit makes up for it. I enjoy editing my work much more than producing the first draft! What unique contribution does your commentary make? Remarkably, there has not been a major commentary on Ephesians in the past few generations that both accepts Pauline authorship and believes it was written to the church at Ephesus (rather than being a general circular—see the textual variant in Eph 1:1). So, firstly, by reading the letter against what we know about the Ephesian church and Paul’s ministry from Acts 18–21, I hope to offer a distinctive insight into its purpose. Secondly, I try to connect the letter’s contents to the sacramental and liturgical life of the church as much as possible. I hope this makes my commentary useful for the preacher. What are the most important biblical passages covered in your commentary, and why are they so important? All of them! Okay, well there are a lot of well-known and significant passages, starting with “by grace you have been saved through faith” (Eph 2:8), which was so important to the Lutheran Reformation. Paul’s treatment of holy marriage (Eph 5:21–33) is not only tremendously relevant today, but needs to be seen as a presentation of the Gospel, Jesus’ self-sacrificial love for his bride, the church. The “armor of God” (Eph 6:10–17) is comforting to us Christians in an increasingly hostile world—but rather than a call to attack the enemy, I see it as a marvelously comforting promise that we are protected from harm in battle by being baptismally enwrapped in Christ’s victory. But my favorite section—what I see as the central proclamation of the letter—is the mini-creed of Eph 4:4–6, in which Paul exhorts us to treasure the unity given to us by God through “one Lord, one faith, one Baptism” (Eph 4:5). This is followed by a key NT portrayal of the holy ministry as a gift of the ascended Christ to the church for delivering this creedal faith (Eph 4:7–16). How do you hope your commentary will influence the ministry, preaching, and teaching of pastors? I hope that pastors see the value of careful study of the Greek text for enlivening their preaching and teaching. But I also aim to model an integrated approach to exegesis that applies it to the life of the church, drawing together doctrinal, liturgical, and sacramental interpretations. Ultimately, I want to help preachers find the Gospel message in every part of the epistle. What do you see as your legacy to the church? Time will tell, of course. I look forward to hearing whether my ideas are helpful and to learning from my readers. Although my interpretation of Ephesians is distinctive, I’m really just applying to this particular text what I’ve learned from my teachers. I see my work as part of a renewed consciousness of our Lutheran and catholic heritage, exegesis in and for the church.